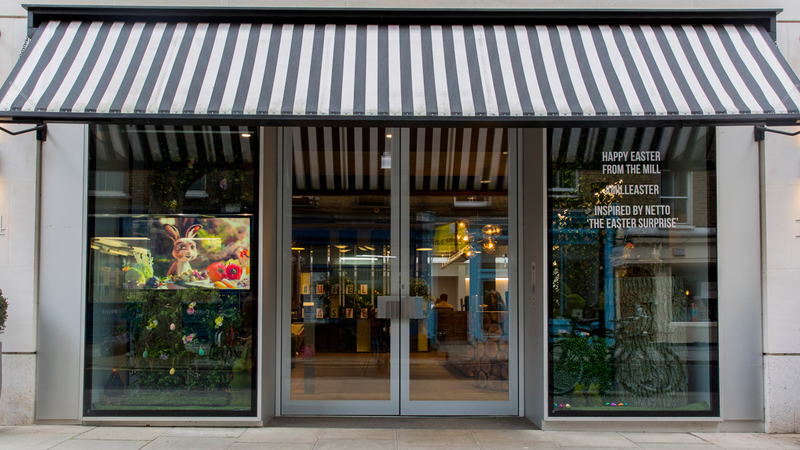 The Mill’s Windmill Street Studio has been transformed into a snapshot of the year’s sweetest Easter advert for a four-day long install in the lead up to the long weekend. 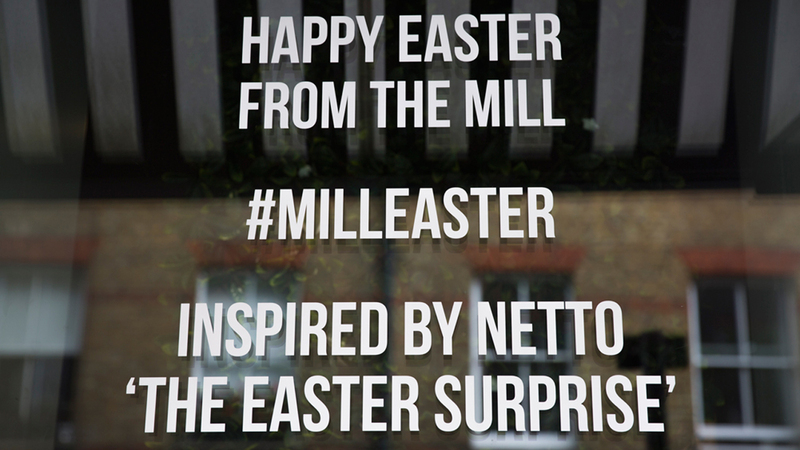 Netto’s latest seasonal campaign, ‘The Easter Surprise’, created by Jung von Matt and Mill+, took on a highly inspiring creative script to explore the origins of the Easter bunny, and this year's Windmill Street Studio Easter Installation takes inspiration directly from the spot. The install aims to bring to life the narrative and characters of the advert, with the building dressed akin to the woodland setting from the ad itself. Throws of green leaves and hedging adorn the alcoved windows and floors, each lightly dressed with flowers, birds, and patterned eggs to weave an underlying air of magic among an enchanted woodland setting. The first window plays host to the physical models used in the making of the ad, playfully positioned among a world of green foliage, giving the illusion that you are looking into the Netto world through the windows of Windmill Street. The second houses a screen featuring the spot itself, allowing staff, guests, and passers-by alike, to better understand how The Mill team made the touching ad and view the finished work. Ensuring magic touches every corner of the London Studio, sweet treats and fun activities have been put in place across the week; Pop-ups from the likes of FINKS rustic-deli, and Master biscuteers BKD will be taking place in The Loft, while DIY Hot Cross Bun Stands will appear mid-week alongside baskets of mini-eggs to cure any desk-side cravings.